Print laser-quality text documents and sharp images that resist fading. This Original HP ink cartridge is designed to deliver user-friendly features, including technology that lets you finish printing a critical job even when you’re low on a specific ink. 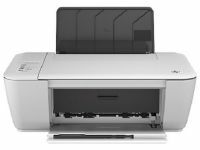 CH563ZZ Print laser-quality text documents and sharp images that resist fading. This Original HP ink cartridge is designed to deliver user-friendly features, including technology that lets you finish printing a critical job even when you’re low on a specific ink. HP helps you reduce your environmental impact with free and easy cartridge recycling, and with cartridges made with recycled content. Use convenient ink alerts to easily identify and shop for Original HP cartridges using HP SureSupply. To Recieve updates and possible rewards for Hewlett Packard (HP) HP 802 Black Ink Cartridge (Large) please sign in. To Recieve updates and possible rewards for Printer Cartridge, Ink & Toner please sign in.